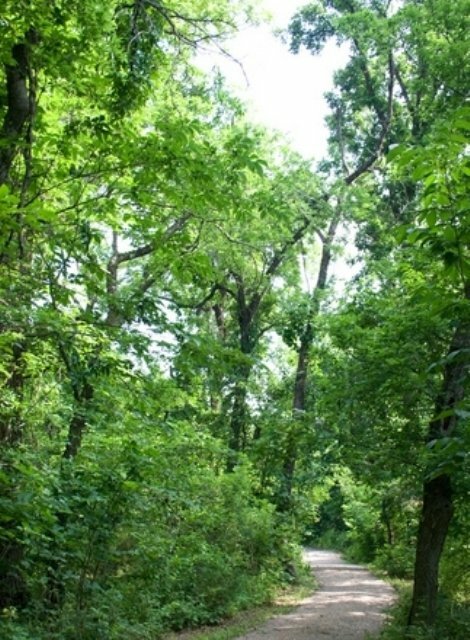 Located within the scenic Chickasaw National Recreation Area is a diverse and challenging trail system. 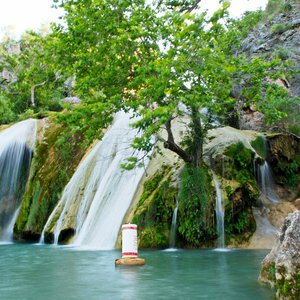 Whether you embark on an hour-long journey or plan to make a day of it, this scenic area of south-central Oklahoma is the perfect place to explore. 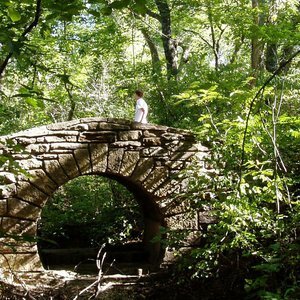 The unpaved Rock Creek Multi-Use Trails are open for hiking, mountain biking and equestrian use and encompass a total of nine miles altogether. With an intermediate to expert difficulty level, you'll encounter two types of environments throughout these trails: wooded forest areas and grassy open spaces. The diverse terrain includes rock-lined hills and flat areas, and the trail crosses shallow streams along the way. The north trailhead is located just west of Veterans Lake, and the south trailhead is located just north of the Cedar Blue Road and N 3370 Road junction. Trail 1: At 4.4 miles, this is the longest trail in the system, and the other trails are offshoots of this route. Starting from the north trailhead, Trail 1 runs south. Soon after entering the trail, you'll see Rock Creek on the right. At this point, the terrain is somewhat flat, but after crossing a shallow stream it transforms into rock-lined hills. After a while, the trail evens out again and leads into flat tallgrass areas. You'll continue on in this environment for most of the trail, and go past the point where Trail 4 intersects. Near the end, the trail turns into a gravel road, then concludes at the south trailhead. Trail 2: The shortest of the Rock Creek Multi-Use Trails is Trail 2. At 0.5 miles, this trail is accessible via Trail 1 about 1/2 mile south of the north trailhead. Trail 2 runs east from Trail 1, where it meets Trail 3 - this is a great route to check out the eastern boundary of the Chickasaw National Recreation Area. Trail 3: From the north trailhead, Trail 3 veers off to the southeast. This trail is a total of two miles long, and starts off as flat and grass-covered. The Veterans Lake dam will be visible on the left during the first part of the trail. About halfway down, Trail 3 intersects with Trail 2. Along the way, the landscape transitions into wooded hills, and the trail ends where it meets Trail 1. Trail 4: From the south trailhead, the 2.1-mile-long Trail 4 leads west. The trail turns back to the north, and after about a mile and a half, you'll enter dense forest areas and run into some rocky terrain. Curving back around to the east, Trail 4 ends where it meets Trail 1.